As I mentioned in passing yesterday, while I was otherwise preoccupied getting my knee fixed, a restaurant in Virginia joined the already famous Masterpiece Cake Shop in exploring the ethical dimensions of what kinds of customers to serve or not to serve. I refer, of course, to what happened when the owner of a restaurant in Lexington, VA, asked White House Press Secretary Sarah Huckabee Sanders to leave her restaurant after a number of the restaurant's staff had told her that they were uncomfortable serving the official spokesperson for an administration that has behaved so appallingly toward immigrants, and other minority groups. As Saint Paul famously pointed out to the Christians in Corinth, just because something is lawful does not make it wise or prudent. As a matter of principle, presumably, the restaurant, a private business not a public service or governmental agency, has the right to take such a stand. The real question, of course, is whether it is wise or prudent to do so, what good it does or doesn't do in regard to anything that matters, and whether it further undermines that increasingly elusive goal of political "civility." And these are, indeed, difficult questions to answer. As with so many such symbolic protests, the protest itself tends to become the subject of debate, not the reprehensible behavior being protested. It could even be argued in this particular case that such symbolic protest simply plays into the hands of the Administration - distracting attention from our government's aggressive use of state power against helpless parents and children on our southern border. This easily happens in a media culture of false equivalence, in which the "incivility" of inconveniencing the Administration's spokesperson's dinner plans is presented as somehow comparable to the "incivility" of separating children from their parents. That said, I have long been of the opinion that such symbolic acts of protest seldom accomplish much - and at worst can become self-righteous substitutes for doing anything about the actual problem. At the risk of overgeneralization, those on one side in American politics and culture wars tend to be better at focusing on what needs to be done - mobilizing political power in support of their agenda. Those on the other side tend to be better at expressive political actions rather than consequential political actions. Crudely put, the Right votes, the Left demonstrates. Demonstrations may indeed dominate short-term news coverage, but voting wins actual political power and produces political results that make a real difference in real people's lives. Wherever one comes down on the merits of any particular act of expressive protest, the priority has to be on practical political action. A lot has been happening in our excessively fast-moving, circus-like, political world this past week, while I have been more personally preoccupied with the experience of knee-replacement surgery and recovery. As often happens at the end of June, there have been some extremely significant Supreme Court decisions - notably the Court's Janus v. AFSCME decision (yet another unfortunate consequence of Mitch McConnell and his comrades having gotten away with stealing a Supreme Court seat from President Obama in 2016). Then came Justice Anthony Kennedy's not unexpected retirement, which will surely light up the political sky with fireworks for weeks, maybe months. Meanwhile, a restaurant in Virginia has joined the more famous Masterpiece Cake Shop in exploring the ethical dimensions of what kinds of customers to serve or not. And, while all this was happening, there was also Tuesday's upset primary win of a 28-year old insurgent, Latina, "Democratic-Socialist," Alexandria Ocasio-Cortez, in New York's 14th Congressional District, where she bested a long-time, traditional ethnic Catholic Democratic party leader, Joseph Crowley, a one-time chair of the "New Democrat" coalition in Congress - in what must be seen as yet one more defeat for traditional, mainstream, centrist Democratic party politics. "All politics is local," and for sure there may have been any number of genuinely local factors contributing to the upset - not the least of which is the obvious long-term change in the district's ethnic composition (a factor which is both local and national in its import). That said, politics today is a lot less local than it used to be. Elections - in particular, primary elections - are likely a lot more national (and ideological) today than in the heyday of the sort of traditional, mainstream, centrist Democratic party politics represented by Congressman Crowley, et al. Ocasio-Cortz clearly represents the familiar pattern of ethnic succession, whereby a district's congressional representative belatedly comes to look like his or her constituents. But it also represents the continued national and ideological evolution of the Democratic party, that was so dramatically - and catastrophically for the party's electoral fortunes - on display in Bernie Sanders' successful challenge to Hillary Clinton in 2016 (successful in that, along with James Comey and Vladimir Putin, Sanders' stunt helped give us President Trump instead of President Clinton). Even as the world's attention this past week has been focused on our southern border and on our government’s deliberately cruel and aggressive policies against families and children, with all that in the background, the Church's calendar today invites us to focus on the birth of a baby – something of a rarity in the Church’s calendar, which typically celebrates saints on the day of their death. Only Jesus, Mary his mother, and Saint John the Baptist, whom the Gospel describes as filled with the Holy Spirit even from his mother’s womb – only those three - have their birthdays acknowledged in the Church’s calendar. Today’s celebration transports us in spirit into an Old Testament atmosphere of pious, devout senior citizens in sterile marriages, whose youth is symbolically restored by the great gift of fertility. In the world of the Bible, few fates could be worse than not having any children. Quite unlike the me and my generation mainly mentality so emblematic of our own time, fertility and the future it made possible were seen as the greatest of gifts, a great grace, a true blessing. This blessing was now granted to Zechariah and Elizabeth. But, again quite unlike our modern mentality, this blessing was not granted to Zechariah and Elizabeth simply for themselves. Hence, the Gospel recounts a whole series of special events surrounding, first, the conception, and, then, the birth, circumcision, and naming of their son. These circumstances served Zechariah and Elizabeth and their family and friends as visible signs, so to speak, of their son’s special status and mission, indicating the purpose of this miraculous event in God’s great plan for the whole human race. According to the account in Luke’s Gospel, when Zechariah and Elizabeth’s family and friends heard that the Lord had shown his great mercy toward Zechariah and Elizabeth, they naturally rejoiced with them. At first, however, they still had their own pre-conceived understanding of what they were celebrating, as reflected, for example, in the way they thought the newborn should be named. But they – and, through them, we – must be made to see that this miracle birth was about so much more than the Lord’s mercy to one couple, to one family, Hence, the physical miracle of John’s birth was augmented by even further signs dramatically highlighting his fuller significance. In the world of the Bible, naming someone was an act of authority. In the case of a newborn, it signified the father’s recognition of his child. But, as the angel had foretold to Zechariah, many would rejoice at this boy’s birth. He would belong not just to his parents but to the special mission God had made him for. Hence, his name was chosen by God himself and announced by an angel. Zechariah and Elizabeth and their family and friends recognized in this a sign that God really was still present and active in the world. So, unable to keep the good news to themselves, they immediately anticipated John’s own special mission by spreading the word throughout the hill country of Judea. Today’s feast focuses on John’s birth. The familiar details of his preaching and baptizing we will hear about again, as we do every year, in Advent. John’s actual public career was quite brief – quickly cut short by his arrest and eventual execution. His martyrdom is recalled in the Church’s calendar in August, but it seems appropriate today to recall, that martyrdom as the Preface of the Mass does, to recall his imprisonment and execution by King Herod Antipas. The Gospel account suggests that Herod may have actually admired John and that Herod liked to listen to him, but that he was very much perplexed by John’s challenge to his misuse of political power (Mark 6). Just as John had pointed ahead to Jesus in life, his death also pointed ahead to Jesus’ own death at the hands of Roman political authority – and beyond that to the many martyrs in every age, including our own, whose heroic witness would put them at odds with unjust and immoral aggressive political power. John’s birth, which we celebrate with such solemnity today, continued the process that began with the promise God long ago made to Abraham, then renewed over and over to his descendants, and finally fulfilled in Jesus, whose own birth we will celebrate exactly six months from now. Today heralds the hope that the dry desert summer will eventually yield to the autumn rains and the life-giving wetness of winter – nature’s way, perhaps, of symbolizing the effect of the coming of Christ whose birth into our world of injustice and oppression it was John’s mission – and is now our mission – to announce to the world. Homily for the Nativity of Saint John the baptist, Immaculate Conception Church, Knoxville, TN, June 24, 2018. 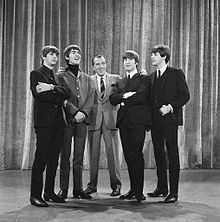 I was four years old when my family purchased its first television; and, as far back as I can remember, The Ed Sullivan Show on Sunday at 8:00 p.m. was a regular routine in my family - as it must have been in many families. Often we spent Sunday afternoons and evenings with my aunts, uncles, and cousins. It was at one of those gatherings that we all watched together Elvis's famous first performance on Ed Sullivan on September 9, 1956. A lot of successful performers were introduced to the mass TV audience on the Sullivan show. The most famous instance of this, of course, was The Beatles. Sullivan had accidentally encountered the Beatles while passing through London's Heathrow Airport in 1963. Seeing their fans' over-the-top reaction, Sullivan sensed that they were, as he put it, Elvis all over again. A few months later, on February 9, 1964, the Beatles (photo) made their American TV debut on his show (a broadcast that drew an estimated 73 million viewers). And the rest, as the saying goes, was pop music history! In addition to introducing new talent to a mass audience, Sullivan has also been credited with improving American attitudes to and treatment of mental illness, after a May 17, 1953, show at which Broadway director Joshua Logan talked publicly about his experiences in a mental institution. The Ed Sullivan Show reflected the mores of the era (and its host's Catholic moral rectitude). Inevitably that would conflict with the emerging values of the late 1960s. Thus, when the Rolling Stones appeared on the show on January 15, 1967, they were famously required to change "Let's spend the night together" to "Let's spend some time together." By that time, inevitably, the show's viewership was beginning to decline, its audience increasingly older (a demographic disaster in the mentality of advertisers). So CBS cancelled the show after the end of the 1970-1971 season. And that was that! Variety shows fit the mood of the 1950s. It would be hard to imagine such a show today., when viewers would likely channel-surf throughout. While that reflects our changing tastes and reduced attention spans, it also highlights how TV and popular entertainment no longer represent any kind of shared common space in our society, in which we have mostly all retreated to our separate cultural silos. Because at that time there was usually only one TV set in a home and there were only three networks and hence limited TV choices, families watched TV together and shared a common inter-generational experience, an experience they shared with individuals and families across the entire country, creating a common national cultural framework which now no longer exists. That loss of shared experience and common cultural framework is hardly the sole cause or primary explanation for the many social, cultural, and pollitical divisions we are experiencing now, but it does represent one contributing factor. Jesus did much of his public preaching and teaching in rural Galilee. 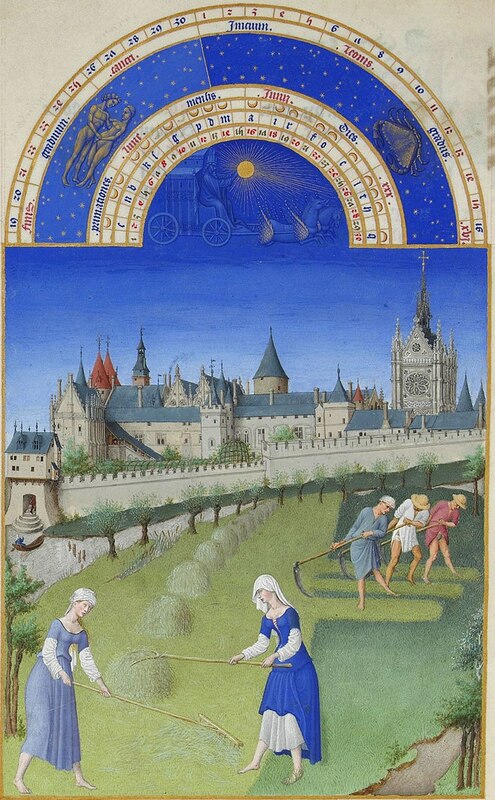 So it’s no surprise so many of his images and parables are agricultural in inspiration. That may make obvious sense, but it also may make them hard for most of us in contemporary society, whose background is non-agricultural, whose background is completely urban, to relate to. To me as a non-gardener, gardening seems incredibly complex, physically demanding, and just generally difficult. Wy would anyone want to do it? To me as a non-farmer, farming also seems if anything even more complex and difficult. And, of course, real farming really is hard work. Only non-farmers romanticize farming! But the parables we just heard [Mark 4:26-32] focus less on the human work involved and more on a more mysterious and silent part of the process. The kingdom of God, Jesus says, is as if someone scattered seed on the land and over time watched it sprout and grow and yield fruit for the harvest. If that first parable focuses on the mysterious, silent, and patient process by which the seed once originally sown sprouts and grows on its own, the second parable contrasts the full fruition of God’s kingdom with its seemingly modest and maybe even inauspicious beginnings. Obviously, a lot of what we do in life involves effort, even strenuous effort at times. Yet we all know that sometimes there is only just so much which work and effort can accomplish. However ambitious and elaborate our plans, sometimes all we can actually do is plant some seed, so to speak, and then wait patiently to see what happens. If that is true enough in ordinary life and in our ordinary activities, how much more true is it in the mission of the Church? Much of what we do in Church life and in ministry is like that, planting seeds so to speak, sometimes in lots of different ways, and then waiting – patiently and hopefully – to see what happens. Yet even in the first parable about the seed growing of its own accord, the farmer does do his part. There is activity on the farmer’s part, just as there is activity on the Church’s part - on our part - in the coming of God’s kingdom. The farmer makes his contribution, as God expects all of us to do. But, in both cases, the crucial action is God’s action – action, which occurs mysteriously and may mainly seem hidden. When I was a student, I remember being surprised to discover that the first of these parables is unique to the Gospel of Mark, and is not included (as most of Mark’s other material is) in either Matthew or Luke. That seemed strange to me then and still seems so now, although all these years later I have no more or better insight as to why that should be. But, however obscure this parable, however easy it may be for us to overlook, I think this remains a really powerful parable. It speaks to something many modern people in particular seem to worry about – God’s silence, his apparent absence from the world. The point of the parable (or so it seems to me) is to acknowledge God’s silence - but also to exclude our misunderstanding or misinterpreting that silence as being due to inactivity on God’s part. Silent God may well be, but absent he is not. Echoing Ezekiel’s prophecy of making the withered tree bloom [Ezekiel 17:22-24], Jesus’ parable illustrates the unstoppable mystery and unstoppable success of God’s kingdom in the mustard seed’s growth into such a great plant that all the birds of the sky can find space for themselves in its large branches. What an amazing aspiration! What an appropriate image for what the church is called to be in our time and place - what we, as Church, are called to be in our conflicted, fragmented, strife-torn world! Our culture encourages us to be busy all the time and to be efficient, accomplishing a lot in our busy work – often at considerable cost to our health, to our happiness, to family, and to community. But, just as the farmer in the parable scatters seed on faith, with no certain knowledge of how it will grow, the Church has to sow the seed of God’s word in the world, not knowing how or when our efforts will find fulfillment but confident about the coming of God’s kingdom in our lives and in our world – the blessed hope and the coming of our Savior, Jesus Christ, that we say we pray for in every Mass. Homily for the 11th Sunday in Ordinary Time, Immaculate Conception Church, Knoxville, TN, June 17, 2018. Ex-Catholic Mike Pence addressed the Southern Baptist Convention earlier this week and used that pulpit to promote the political agenda of his secular lord, Donald Trump. The one consolation in that sorry spectacle was that the previous day some members of the SBC had courageously spoken out against having Pence speak, and some 30% had supported that effort. Shortly after the Vice President's speech, the new President of the SBC, J.D. Grear tweeted: "I know that sent a terribly mixed signal. We are grateful for civic leaders who want to speak to our Convention—but make no mistake about it, our identity is in the gospel and our unity is in the Great Commission. Commissioned missionaries, not political platforms, are what we do." More pointedly, in a speech earlier in the week, Grear had said: "We believe that Jesus is the lord of the whole earth. He is the king of kings and he is the lord of lords. We believe that he, not any version of Caesar, is the Messiah. He is the Christ, the son of the living God, that salvation is found in him, not in the Republican platform or the Democratic platform, and that salvation did not come riding in on the wings of Air Force One. It came cradled in a manger." That at least was a direct message and sent a somewhat clearer signal! 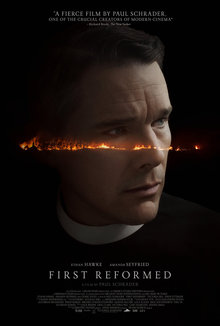 In First Reformed, Reverend Ernst Toller (Ethan Hawke) is a lonely, middle-aged parish pastor of a historic 250 year old Dutch Reformed church in upstate New York, that was once upon a time a stop on the Underground Railroad, but which is now down to a tiny congregation and reduced to something of a tourist attraction. It is overshadowed by the nearby Abundant Life mega-church, which actually now owns it. (The two churches and their ministers and staffs seem to cooperate on a regular basis.) Toller is lonely not just because his congregation has dwindled to almost no one, but because his marriage has failed. Apparently, his wife left him after their son died in Iraq, for which she blamed him for having encouraged their son to go to VMI. Echoing Georges Bernanos' justly famous 1936 novel, Diary of a Country Priest, Toller is also seriously sick with a stomach ailment and keeps a diary. The film also immediately reminded me of Ingmar Bergman's 1963 film Winter Light. Like Bergman's film, also set in a small church in winter, this movie begins with a Communion Service. If, like Bernanos' priest, Toller is increasingly ill and keeps a journal, like Bergman's Lutheran cleric, Toller seems to be struggling with the meaning of his vocation and has previously been romantically involved with a parishioner. And, like Bergman's pastor, he is deeply affected by a woman's request to counsel her husband who has become apocalyptically anxious about the world situation - and who then kills himself. Very early in the film, Mary, a pregnant parishioner (Amanda Seyfried) asks Toller to counsel her husband, Michael, who has become a radical environmentalist. Toller tries his best to reach out to Michael, but Michael soon commits suicide. Indeed, Toller is the one who finds his body. He also finds - or, rather, Mary shows him - a terrorist-type suicide-bomb vest which Michael had been keeping in his garage. Setting aside issues related to the film's surprising ending, the movie does in fact highlight many matters worth focusing on. Obviously, there is the whole dilemma of being a pastor of what his colleague at Abundant Life calls a tourist church that no one attends. Dealing with diminishment is a primary preoccupation of many Church institutions today. The film highlights how destructive diminishment can be in reality - both for the larger community and for an individuals whose vocational commitment seems thus called into question. It also calls attention to the impact of unresolved personal problems on ministry - and vice versa. And it illustrates the serious importance of pastors being pastored - something Toller's colleague at Abundant Life tries to tell him, but which Toller simply seems unwilling or unable to hear. In a sense Toller's personal pastoral failure with Michael is replicated in the Abundant Life pastor's failure to get through to him. The need for mutual support among clergy - and what happens when it breaks down - is definitely on display in this film. And, of course, the storyline highlights the dangers inherent in apocalyptic thinking. Ironically, Toller recognizes the politically distorted thinking of the young people he meets with at Abundant Life, but he cannot control the distortions that are coming to control him. It may be that Toller did finally find grace through Mary. But what of the rest of his life before that? Where was grace in his day-to-day life and church work? It may be that his Abundant Life colleague was not far from the mark in his advice! In October 1582, Pope Gregory XIII's bull Inter Gravissimas introduced the Gregorian Calendar, the civil calendar in use now throughout the entire world. Back in 1582, however, the Protestant countries of Europe initially rejected the new calendar. The British empire (which then included what would soon become the United States) only adopted it in 1752. Today, of course, it would be almost unthinkable for a Pope to undertake such a seemingly secular initiative. Yet, for all the abundance of international institutions that have been created over the course of the last century, still no such institution has the credibility or authority the papacy once claimed in public affairs. De facto, it has been the United States, as the pre-eminent power in the post-World War II period, that has largely led international institutions and facilitated international norms of cooperation. At least that was the case until recently. The current US Administration's destructive approach to international order was on display again at the G-7 Summit in Quebec, but has been wreaking havoc for some time now, starting with the US withdrawal from the 2015 Paris Climate Accord, originally singed onto by 196 countries. Into this new vacuum created by the US abandonment of its leadership role, the Holy See seems to have stepped in, convoking a Vatican conference of executives of energy-related businesses on Energy Transition and Care for our Common Home. In his address at the conclusion of the conference yesterday, Pope Francis, noting that many in the world still lack access even to electricity, challenged his hearers "to find ways of ensuring the immense supply of energy required to meet the needs of all, while at the same time developing means of using natural resources that avoid creating environmental imbalances resulting in deterioration and pollution gravely harmful to our human family, both now and in the future." That, of course has been the dilemma regarding our natural environment ever since society's consciousness began to be raised regarding environmental problems some 50 years ago. It is, obviously, impossible to revert to some pre-industrial way of life. There are not far too many people on the planet for human life to be sustained in such a way. Nor would most of us be willing (or even able) to survive in a pre-industrial life-style. Rather, the challenge - and the dilemma - has always been the salvage what is best and salvageable from our modern way of life in a way that mitigates the immense damage our way of life has done to our world, to what Pope Francis fondly calls our common home. Specifically, the immediate contemporary challenge - "a challenge of epochal proportions," Pope Francis has called it - is "to transition to a greater use of energy sources that are highly efficient while producing low levels of pollution." When I was briefly part of a group researching the global resource crisis as a grad student at Princeton in the mid-1970s, it was apparent that the necessary technological solutions in the form of alternative energy sources had to be complemented by a change in values. As Pope Francis said yesterday: "Civilization requires energy, but energy use must not destroy civilization!" Undoubtedly real progress is being made on the technological front, but what of the equally needed progress in values? Saving human life one earth from the environmental destruction our immoral approach to technological progress now threatens is - or obviously ought to be - among our pre-eminent ethical and political imperatives. Still, self-referential, short-term considerations continue to muddle moral reflection on these matters. Thus the Holy Father warned the executives: "Political decisions, social responsibility on the part of the business community and criteria governing investments - all these must be guided by the pursuit of the long-term common good and concrete solidarity between generations. 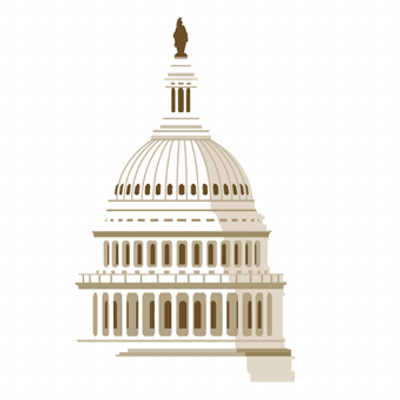 There should be no room for opportunistic and cynical efforts to gain small partial results in the short run, while shifting equally significant costs and damages to future generations." Quoting his own recent environmental encyclical Laudato Si' 53, the Pope repeated: "The problem is that we still lack the culture needed to confront this crisis. We lack leadership capable if striking out on new paths in meeting the needs of the present with concern for all and without prejudice towards coming generations." Obviously, this lack of leadership is a cultural and pre-eminently political problem. It is ultimately a moral problem, which results in contemporary democratic society's inability to form true citizens whoa re morally able and willing to call forth morally mature leaders at all levels of governments and society. 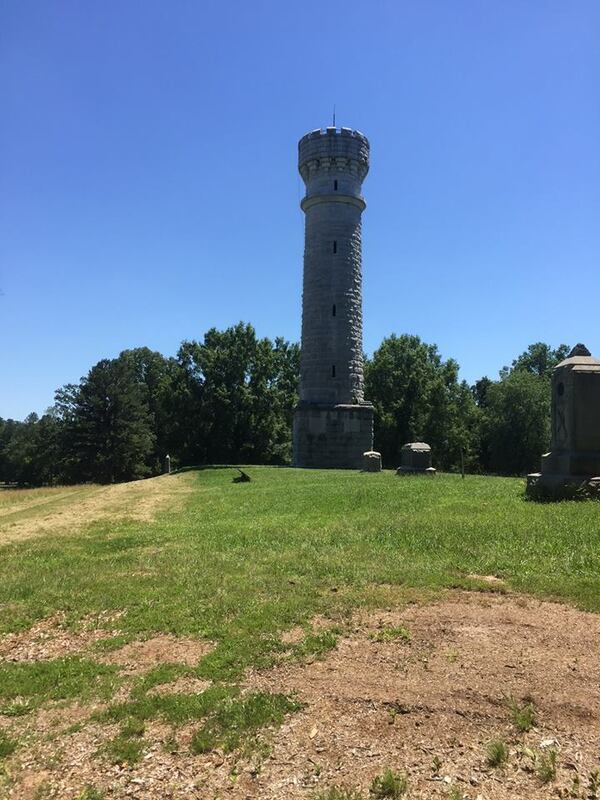 I confess I am not a big battlefield aficionado. I have always been much more interested in the political history and diplomatic dimensions of wars than in the military strategy and tactics that won or lost individual battles. 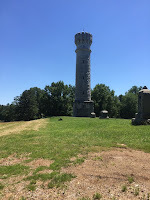 In fact, I think that the only other American battlefields I have ever actually spent much time at have been Gettysburg (which I visited with my parents more than 50 years ago) and Princeton (having been a graduate student there at the time of the bicentennial of that important Revolutionary War battle of January 3, 1777). A Civil War battlefield like Chichamauga does focus one's attention on the terrible human toll taken by that horrible war, and a terrible toll it was indeed! As one Confederate sergeant in that battle lamented, "we are slaying each other with no better instincts than prehistoric brutes with improved machines to accomplish it." The inevitable parting question when one leaves such a place becomes "Was it worth it?" Of course, it was worth it - well worth it - to suppress the evil of secession, save the Union, and end the horror of slavery. But tragically so much of what was inherent in those eminently admirable war aims was then thrown away when Reconstruction was abandoned for almost another century. And still, more than 150 years later, our Union remains fragile, fractured along racial and regional lines rooted in that earlier conflict and perpetuated by our destructively divisive politics. That First Communion was soon followed by numerous subsequent trips to the altar rail - for many of us at least once each week, for those of us who eventually found our way into religious life, likely as often as once each day. That's a lot of Communions over the course of a lifetime! So, if the first one merges in memory with all those subsequent Communions, that may be as it should be. As I say ever year to First Communicants on their big day, the key word to remember about the experience is first – the first time they are doing what (hopefully) they are going to be doing many more times, over and over again, hopefully at least once each week, all the rest of their lives. Today the Church celebrates the Solemnity of the Most Holy Body and Blood of Christ, the feast commonly called Corpus Christi. The meaning and spirit of this festival is succinctly summarized in the familiar collect – so familiar because it is also the collect traditionally sung after the hymn at Benediction: O God, who in this wonderful Sacrament have left us a memorial of your Passion, grant us, we pray, so to revere the sacred mysteries of your Body and Blood that we always experience in ourselves the fruits of your redemption. This prayer reminds us that the Eucharist is intimately connected with Jesus’ Death and Resurrection. The Mass of the Lord’s Supper on Holy Thursday recalls the anniversary of the institution of the Eucharist. 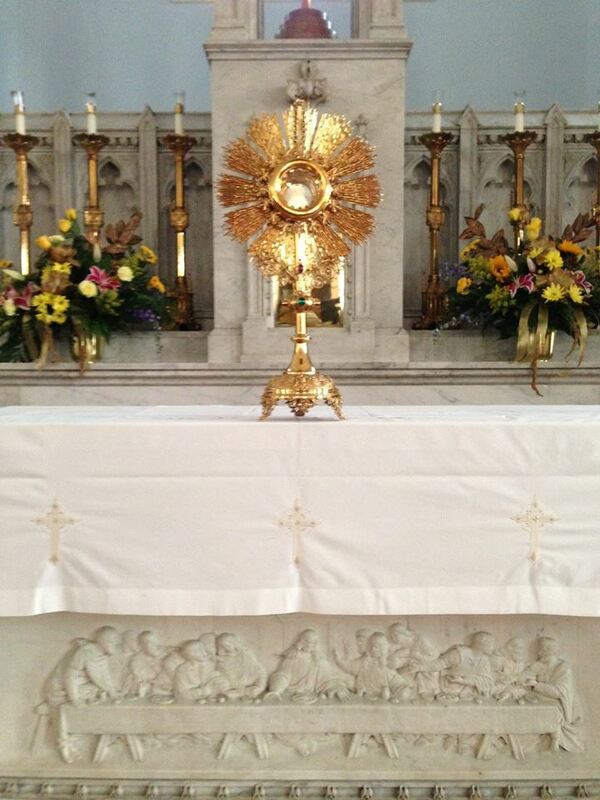 But, with so much else going on then, the Church eventually chose to honor this sacrament on a day all its own. Hence, this feast – established by Pope Urban IV in 1264 with its Mass and Office specially composed for the occasion by the great 13th-century Dominican Doctor of the Church Saint Thomas Aquinas. The collect Thomas composed calls on us to revere the sacred mysteries of Christ’s Body and Blood. Hence the special traditions of Eucharistic veneration associated with today – the traditional outdoor procession, for example, which elaborately marks this occasion in Catholic countries. In Germany, there is a wonderful tradition of stopping at four altars erected along the processional route, at each of which is read the beginning of one of the four gospels before Benediction is given - a symbolic way of suggesting that the entire gospel story can be summed up in some sense in the sacrament of the Eucharist. 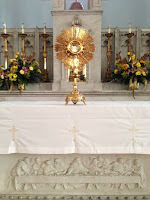 In humble prayer we ask you, almighty God, command that these gifts be borne by the hands of your holy Angel to your altar on high in the sight of your divine majesty, so that all of us, who through this participation at the altar receive the most holy Body and Blood of your Son, may be filled with every grace and heavenly blessing. In other words, by participating in the Eucharist and receiving Holy Communion, we, like Christ’s offering of himself, are, so to speak, carried along, to the Lamb of God’s heavenly altar, as a pledge of our own future glory. The imagery suggests sacrifice, some form of which has characterized almost all religions. The word itself, “sacrifice,” means “to make sacred.” Historically it referred to the offering of valuable objects – of food (for example, the bread and wine offered by Melchizedek in the book of Genesis), of incense, of animals - all offered as an act of worship of God and in hope of communing with God. The Old Testament recounts the offerings of Cain and Abel at the beginning of human history and the sacrifice of Noah after the Flood, but perhaps the most famous Old Testament sacrifice was Abraham’s offering of his son Isaac on Mount Moriah, the future site of the Temple in Jerusalem, where in Jesus’ time sacrifices would be offered at set times every day. Jesus’ life and death were an offering of his entire self, making fully and permanently effective God’s personal alliance with us. The Gospel we just heard [Mk. 14:12-16, 22-26] reports Jesus, on the eve of the annual Passover sacrifice, referring to the blood of the covenant – recalling the sacrifice we just heard about in Exodus, but referring in fact to his own blood, which substitutes for the blood of goats and calves to seal what today’s 2nd reading [Hebrews 9:11-15] clearly calls a new covenant. Calling the Risen Christ high priest of the good things that have come to be, the letter to the Hebrews clearly wants us to understand Christ’s accomplishment as a sacrifice. The sacrifices of the past served certain specific and limited purposes, but that of Christ the High Priest, was a once-and-for-all offering of his own self, unblemished to God through the eternal Spirit, in order to cleanse our consciences to worship the living God. The same letter to the Hebrews elsewhere tells us that the Risen Christ is always able to save those who approach God through him, since he lives forever to make intercession for them. As priest, Christ continually offers worship before the Father on our behalf. As sacrifice, Christ becomes our worship, as he unites us with him in his body by means of his blood. And so, in anticipation of shedding his blood on our behalf, Jesus turned an otherwise ordinary meal into a sacrificial sign of the new relationship uniting us with him in his body, the Church, by means of his blood. And so it is that, for us Christians, sacrifice continues uniquely in Christ’s once and for all gift of himself to his Father, made permanently present in the Eucharist, in which the sacrifice of Christ becomes the offering of his body and blood through his body, the Church. This sacrifice unites all Christians of all times and places in Christ’s one offering of himself, now present for us on our altar, uniting us not only with Christ but through him with one another, with all who eat and drink at his altar and who share this new life of gratitude and hope. According to legend, Saint Thomas Aquinas and Saint Bonaventure, both contemporaries, one a Dominican, one a Franciscan, started composing texts for the new feast. But then Saint Bonaventure visited Saint Thomas and read the antiphon that Thomas had composed for today’s Evening Prayer. When he got home, Bonaventure then threw his own manuscript into the fire. Thus it is the words of Saint Thomas that summarize what we celebrate today – and every day – in the Eucharistic sacrifice: How holy this feast, in which Christ is our food; his Passion is recalled; grace fills our hearts, and we receive a pledge of the glory to come. Homily for Corpus Christi, Immaculate Conception Church, Knoxville TN, June 3, 2018. The Latin name for June is Junius, possibly named after the Roman goddess Juno (corresponding to the Greek goddess Hera), the goddess of marriage and the wife of the chief Roman god Jupiter (corresponding to the Greek god Zeus). In ancient Rome, May was considered inauspicious for marriage, which may account for Juno's connection with June as a month especially favorable for weddings. A fondness for June weddings was still a cultural reality at least until the 20th century. Along with weddings, another traditional June fixture has been graduations, although as academic calendars keep migrating earlier and earlier, graduations are increasingly as much May events as June events. (I graduated 8th grade on June 25 and high school on the same date four years later. My City College graduation date, however, was May 30, but then my Princeton Ph.D. graduation was on June 7.) While graduations celebrate accomplishment and moving forward, they also ritualize ending and separation and so have always shave a somewhat sad side as well. With its presumption of warm and sunny weather, June is obviously a good month for a public holiday. Thus, in the United Kingdom, the 2nd Saturday of June is the Sovereign's Official Birthday. (The present Queen's real birthday is actually April 21. However, her official birthday is observed on different days in the different countries of which she is sovereign.) Similarly, in Luxembourg, the Grand Duke's Official Birthday (which is celebrated as Luxembourg's National Holiday) has since 1961 been celebrated on June 23, regardless of the monarch's actual birthday (which is April 16 in the case of the currently reigning Grand Duke Henri). In the US, June is bookended by the Memorial Day holiday at the end of May and the Independence Day holiday on July 4, and so the month has no public holiday of its own. For a happy musical celebration of June, there is, of course, Carousel's wonderful June is Busting Out All Over (1956) - https://www.youtube.com/watch?v=0I-790dGx-o.